The key to the success of your auction depends upon properly marketing the property. 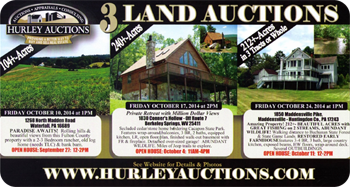 Hurley Auctions’ extensive experience in marketing as well as their use of non-traditional methods of marketing has led them to become one of the most successful auction companies in the Northeast. 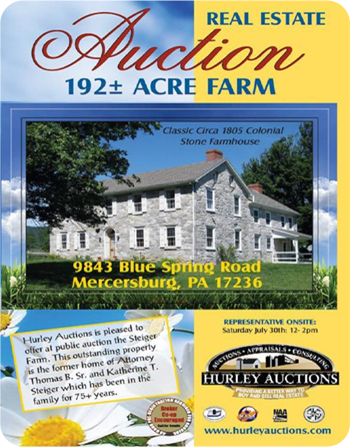 Hurley Auctions has won numerous State & National awards including the coveted First Place in the Land & Farm Division awarded by USA today. 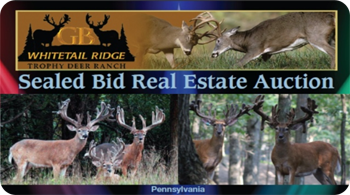 Our aggressive approach to the auction strategy begins with identifying the marketplace. 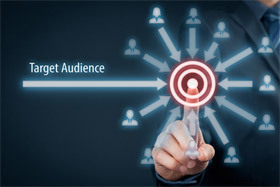 Identifying the target market is an essential step in the development of a good marketing plan to attract serious buyers with real purchasing power. Eye-catching display advertisements are submitted in national, regional, and local newspapers, as well as specialty and ethnic publications. For high profile auctions, professionally designed display ads are submitted to target audience investment journals, trade publications and papers. We will send a professionally designed marketing piece to our targeted mailing list of potential buyers throughout the area. 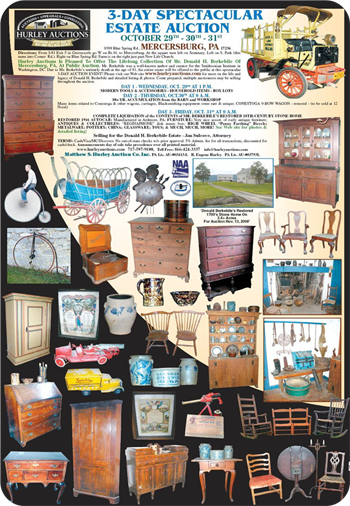 This direct mail campaign is designed to capture the attention of the target market and direct them to our website and office for more information about the auction. We place large banners and signs on your property as well as informational and directional signs on other local roads as permitted. According to recent studies by the National Association of Realtors, 90% of all buyers find the properties they buy on the internet, and nearly 100% view the properties online before they purchase. We depend heavily on the internet and implement many resources including: our web site as well as additional real estate and auction related web sites that get over one million visitors a week. 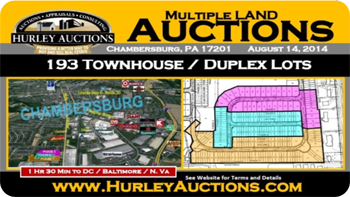 With over 3 BILLION users currently online, Hurley Auctions has expanded its digital marketing to capture the attention of potential buyers and make all the information available to them with the click of a button. 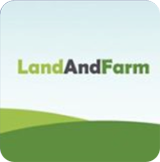 We will post your property on all auction sites including PAA/NAA auction sites, Auction Zip & others! 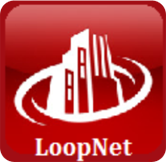 We will feature the Emmitsburg farm on Loopnet which is the largest commercial real estate website in the world, with over four million visitors a month. Electronic marketing is emailed to a targeted market and generates a buyer’s interest with all the information to make a buying decision with ONE EASY CLICK. With over 75% of the World’s population now on social media, a larger target market can be reached. Most auction companies consider the marketing job complete when the last ad runs. We understand that there is much more to generating buyers than running a few ads. 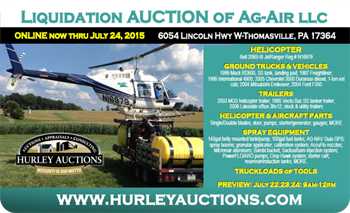 Our staff will handle all of the incoming calls & emails concerning the auction. In addition, we take a proactive role in telephoning and emailing potential buyers and encouraging their attendance. Auctions are news-worthy events and broadcasting that message to news media outlets will produce crucial exposure to the public. With the growth and influence of social media, the traditional press release has transformed into a public craze encouraging readers’ comments and sharing throughout the world. 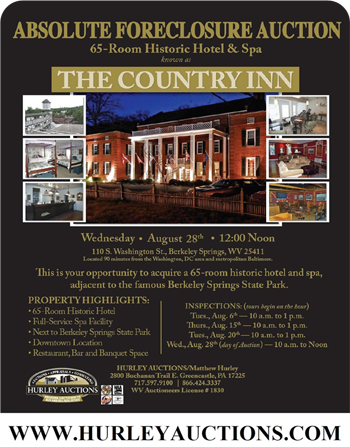 The press release will contain news-worthy headlines announcing the auction, as well as, specific details about the property grounds, terms of the auction, and information where buyers can learn more about the auction. Our staff will prepare a comprehensive information packet on your property that will be given to potential buyers to assist them in their due diligence and investigation of your property. Information in the packet would include general information on the property such as: Taxes, deeds and copies of zoning hand books, aerial photos, maps, plot plans, surveys, utility information, auction terms and conditions, recommended financial and settlement institutions, and more. 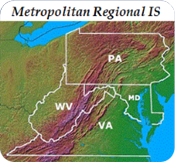 All information in our information packets would also be posted on our web site. Our staff would be responsible for any property showings with a friendly representative available to show the property to any potential buyers.